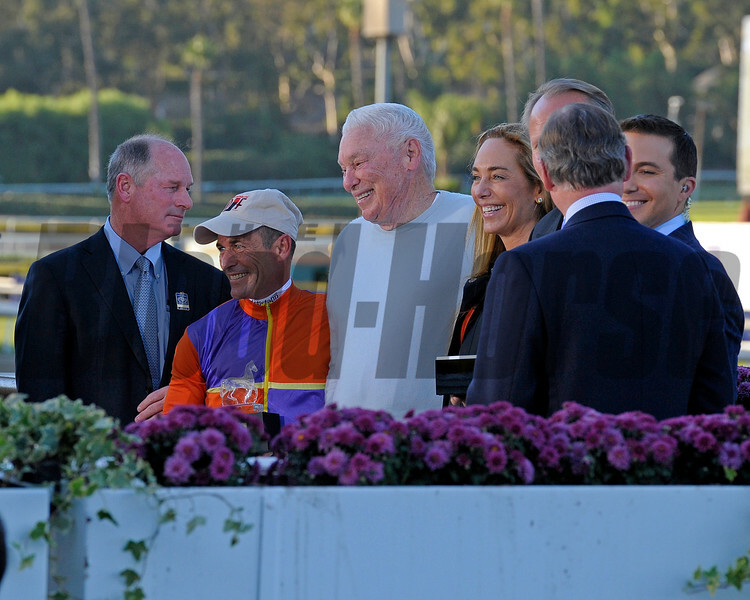 Caption: l-r, trainer Richard Mandella, Gary Stevens, B. Wayne Hughes and ?? Beholder with Gary Stevens up wins the Breeders' Cup Distaff (gr. I).